Here we have a stallion that has Ladykiller, Capitano, Cor de la Bryere and Gotthard as distinguished great grandsires, and the genes of the successful Celle sire Loredo. 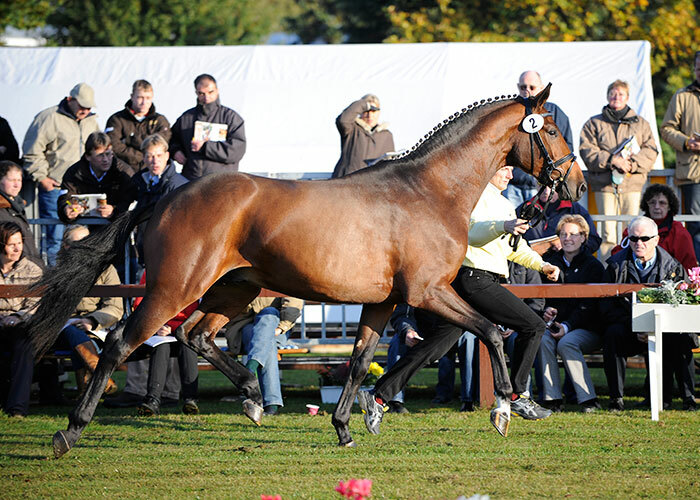 The bay Holstein stallion Loredo by Lord was the successor of Calypso 11 as a sire at the Celle stud, and parallel to his stud duties he was also presented successfully in show jumper tests by Joachim Winter. In addition to having been bred from such great procreators as Lord and Capitano, Loredo also represents Holstein bloodlines 185, which produced Ramiro, sire Raimond and Mitch (by Marlonx). The progeny from his first stationing in the breeding region of Hanover brought him the very high breeding value rating of 150 points. The mating of Calypso 11 daughters with Loredo proved to be successful and brought forth a number of top quality products. The dam line of Laptop also produced international show jumpers including the approved stallion Spartan, who has won several show jumping competitions in Canada and in the U.S. Spartan is the sire of the State stallion Stakkato, who is one of the best young show jumping horses at the moment. Winner of his performance test in 1995, Laptop has outstanding conformation and excellent rhythmical movements, especially in walk and canter. He is clearly stamped by his Thoroughbred lineage. Further, he is endowed with the best mental qualities. He has a lot of ability and technique over jumps and outstanding rideability. He has great willingness to work. For anyone who wishes to breed along the Holsteiner lines, this stallion was well regarded by the handlers and trainers at Celle. 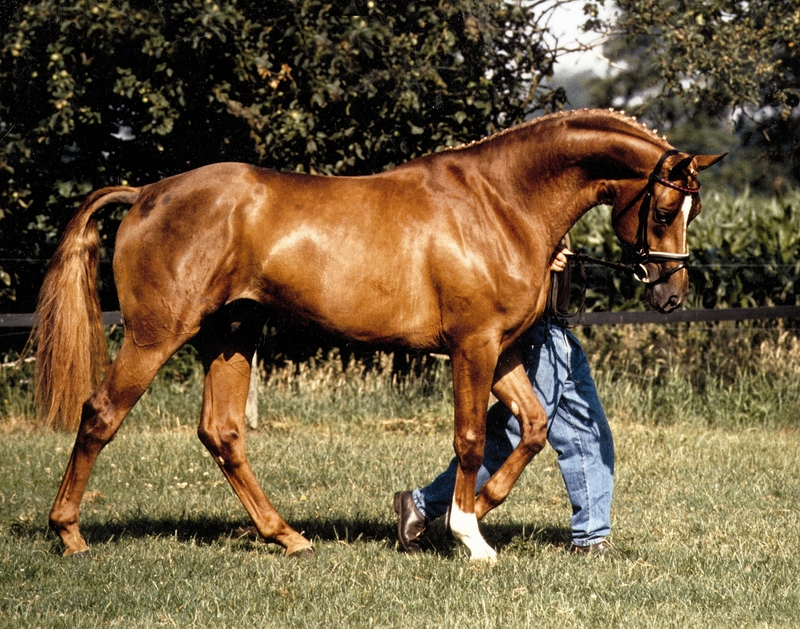 He had his first breeding in 1996. In 1996 he started twice at elementary show jumper competitions and was the winner both times. Participating at elementary show jumping competitions he has a 1997 winning sum of over DM1,000.00. 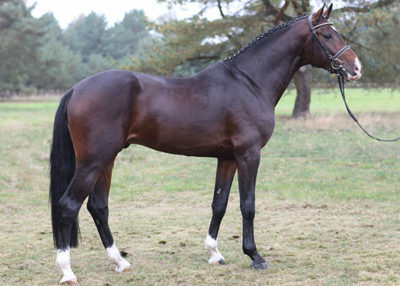 He qualified for the German championship for young jumping horses. Laptop was true to what his noble pedigree seemed to promise. He was a series winner of show jumper trials at elementary and intermediate level, frequently with the highest scores. His son Le Primeur, does justice to his name, which roughly translated means ‘the first one’. Like his sire before him, he won the stallion performance test in Adelheidsdorf. He had great results both in jumping and dressage and is outstanding. Le Patron was another son of Laptop taken by the State Stud Celle. 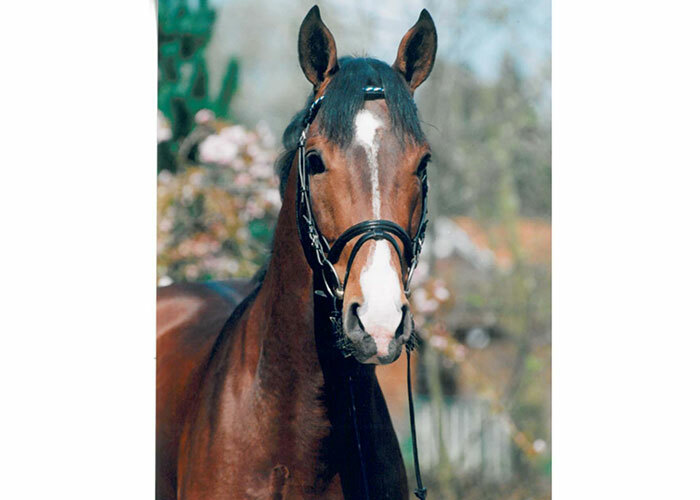 In 2000 he presented the costliest stallion of the Hanoverian approval in Verden. Laptop’s daughters have revealed above average jumping ability and very good rideability in mare performance tests. Laptop has 6 licensed sons, 27 state premium mares, 171 main stud book mares, and 63 auction horses. Winning sum of progeny is Euro 417,527.00.